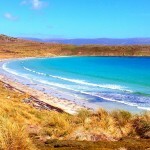 Sea Lion Island is the crown jewel of the Falkland Islands. I really liked Carcass Island and Bleaker Island but Sea Lion Island truly stood out to me. 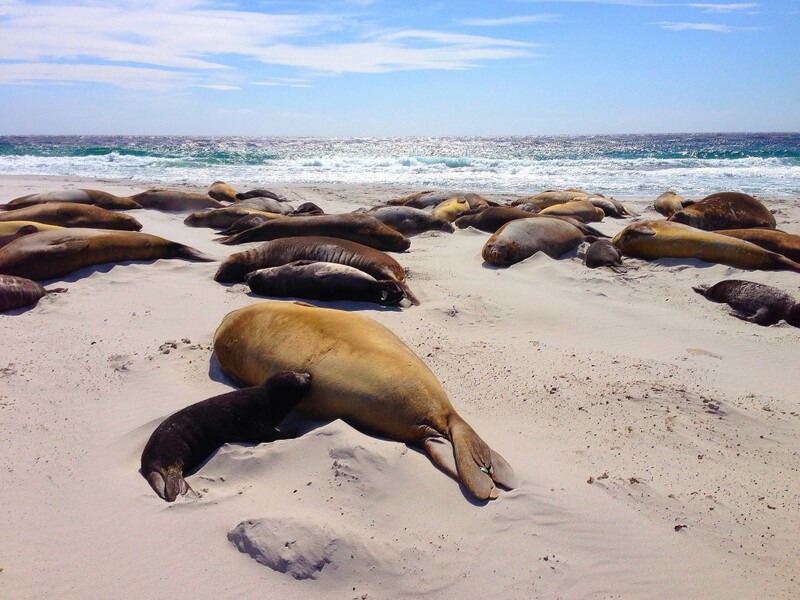 There is so much to see and do on Sea Lion Island that words cannot describe how cool a place it is to actually be there and see all the wildlife and nature in person. 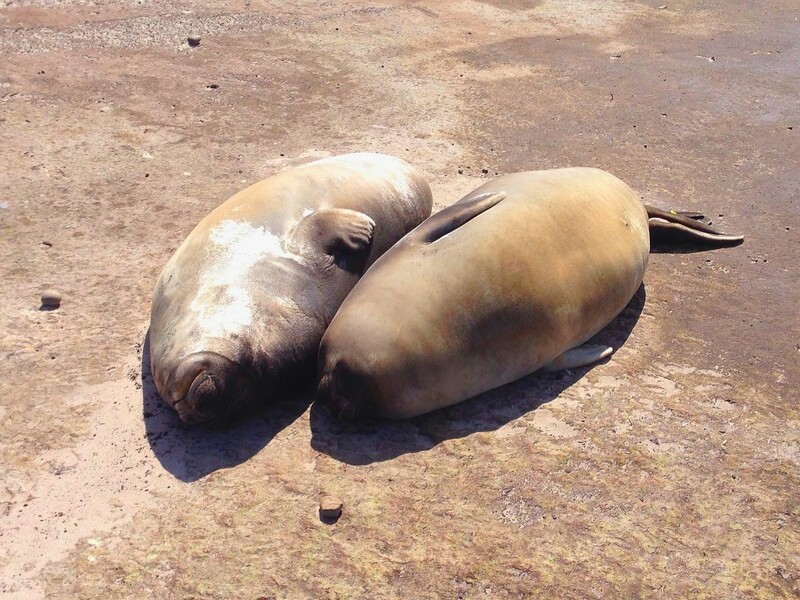 I saw things on Sea Lion Island that I’ve never seen before and likely never will again. 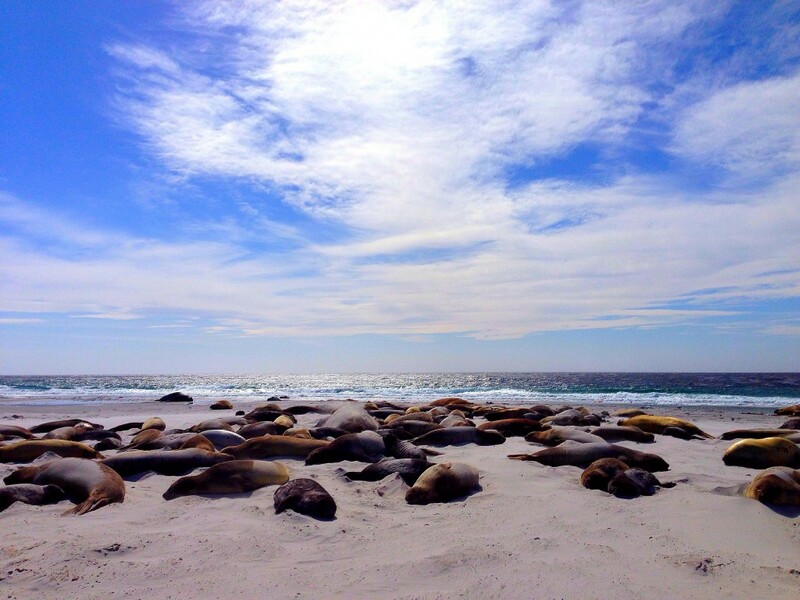 Sea Lion Island is in a word: awesome. Sea Lion Island is actually a relatively misleading name. 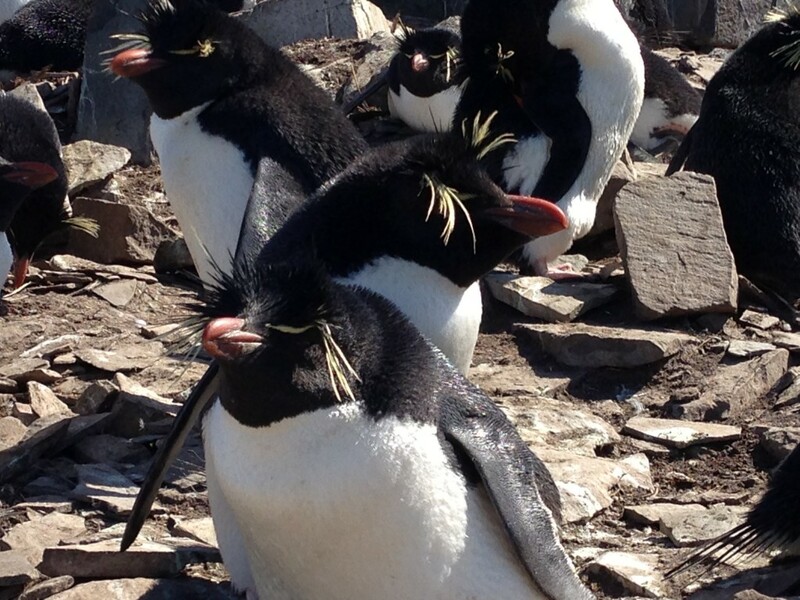 There are sea lions and seals of course, but there are also a ton of penguins; rock hopper, Gentoo and Magellanic. 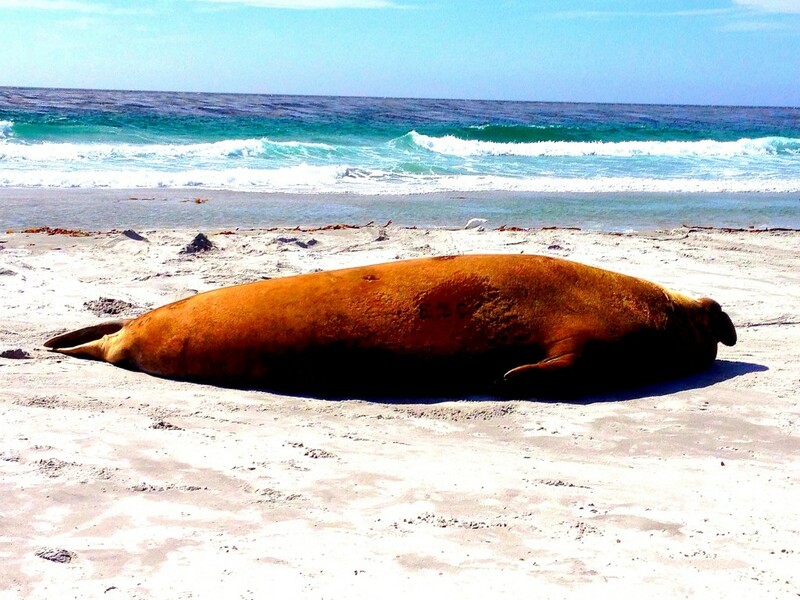 But what really made Sea Lion Island stand out to me were the giant elephant seals that hang out on the beaches. These otherworldly looking beasts, that literally look like massive Jabba the Huts can get over 20 feet long and weigh nearly 5 tons. I mean, these things are enormous. They’ve also got teeth and they like to use them. 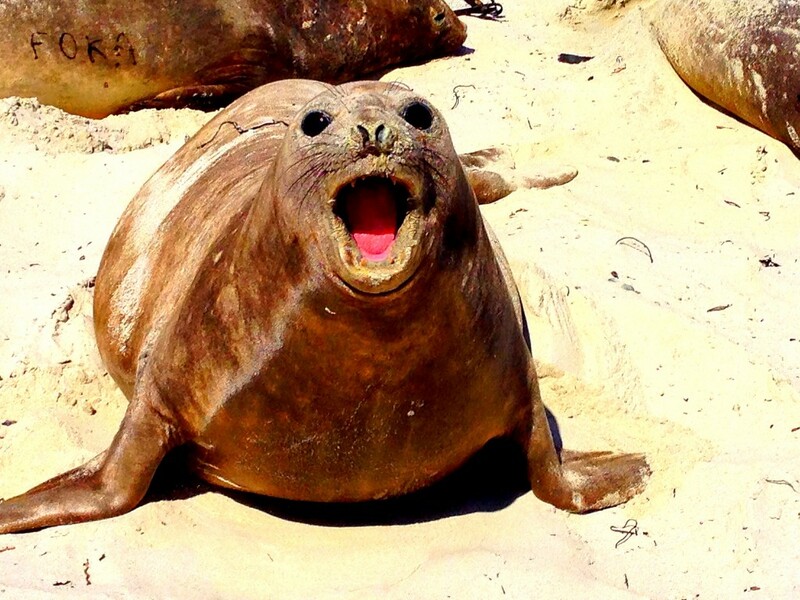 The elephant seals, big and small have pretty sharp teeth and often flash them as you stroll by too closely for their liking. Most of the time the elephant seals are just laying around resting and sleeping in a big cluster staggered on the beach. Every now and then though, you get a battle between alpha males. I was fortunate to be on the beach during several of these clashes that are rarely seen by human eyes or captured on film or video. It was one of the most surreal things I’ve ever seen. 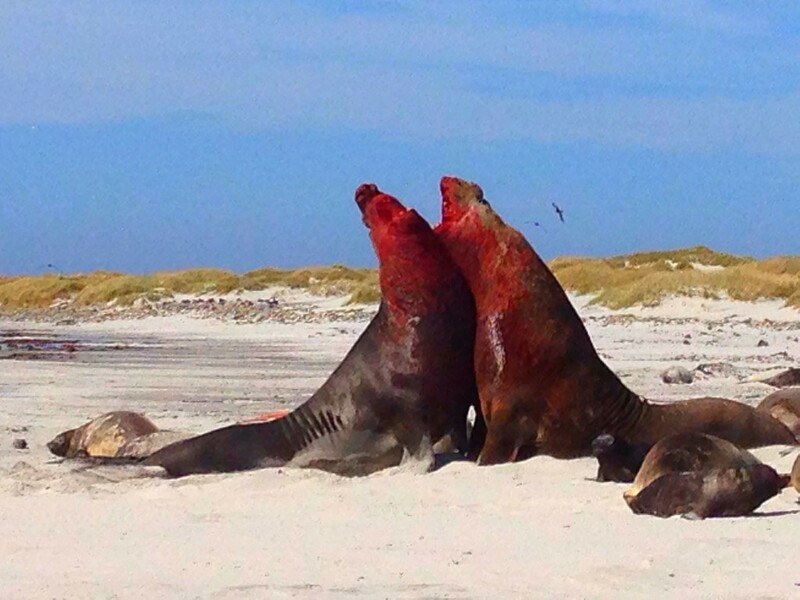 I have never seen nature so vividly demonstrated to me before as I did on the beach on Sea Lion Island. First a male starts making noises saying that he is the boss. Then another big male doesn’t like that and comes over and starts yelling back. Then they simply go at it. They bang heads and literally try to and nearly do kill each other. I watched one male win 3 different clashes with other males. He was beaten and bloodied but had taken on 3 others and won all. Then a fourth challenged him. 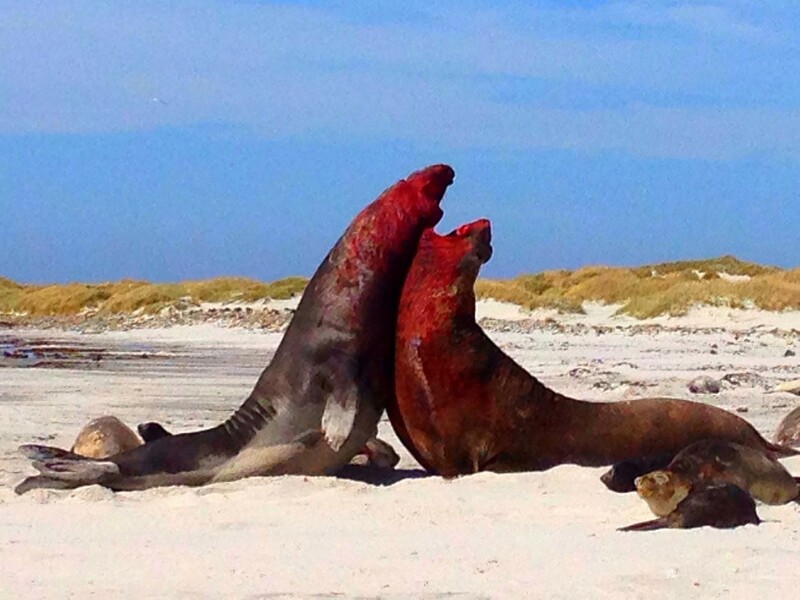 At this point he was bleeding pretty bad and the fourth elephant seal was fresh and showed no mercy. 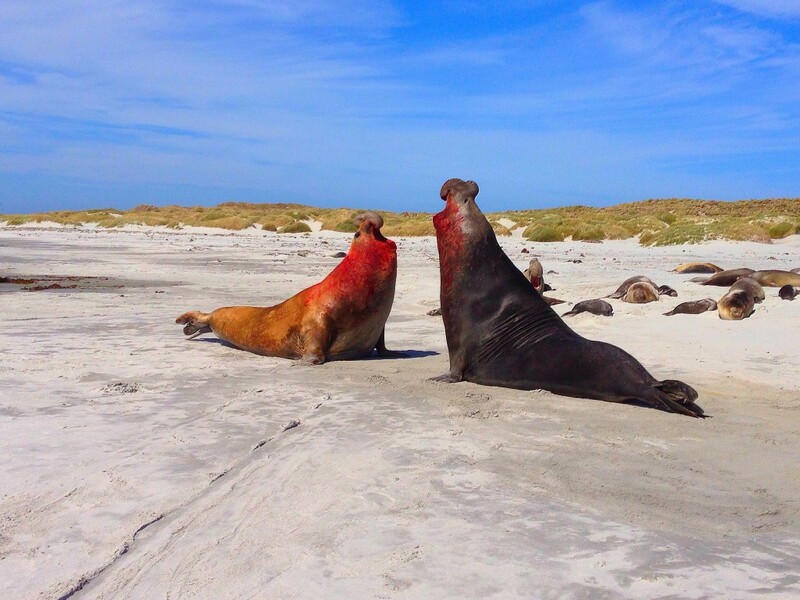 Attacking the wounds on his neck and mouth relentlessly, the fourth elephant seal won and really gashed the other open badly. After winning, he started doing this winners call; which was basically breathing hard and burping-I’m serious, it was wild to see. I was literally like 20 feet away just staring at them as the winner went back and flopped down in the middle of all the females and the loser struggled to make it into the water where he turned it crimson colored with blood. It was really something to see. The whole time I’m standing there filming and snapping pictures I’m standing right near some other elephant seals that were scattered around the beach. Every now and then I’d check around me to make sure I wasn’t being attacked. One seal did make a move at me because I got to close at one point and scared the hell out of me! If one of these massive creatures got a hold of me, I’d be dead for sure-they’re so big that you’d have no chance to get away. 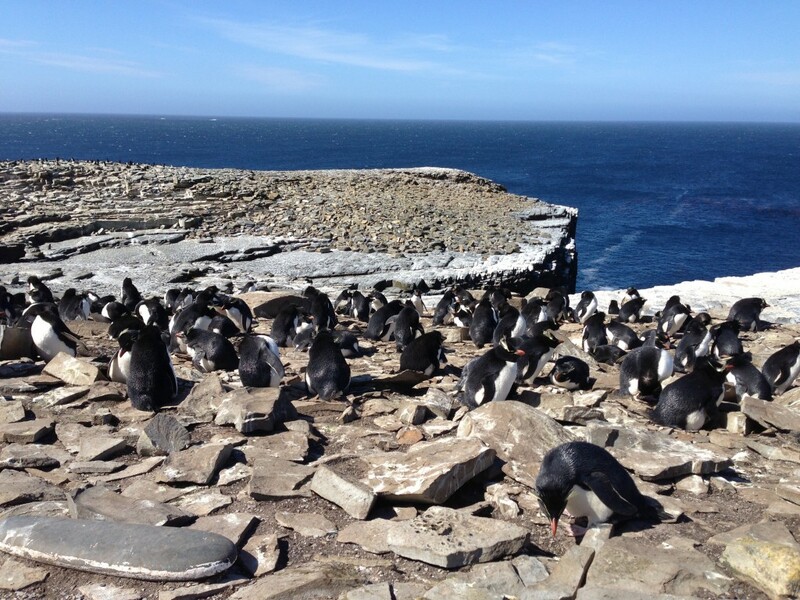 Aside from the ferocity of nature there are several other col things on Sea Lion Island including some great penguin viewing. 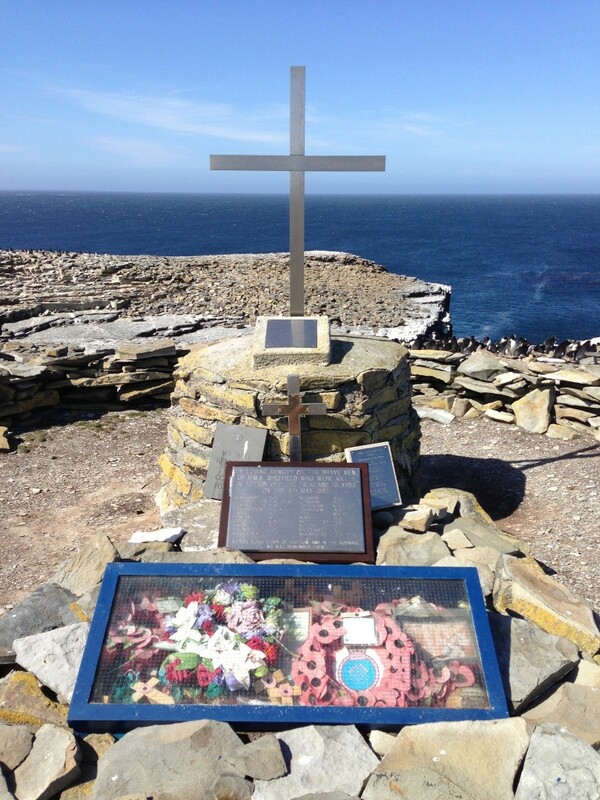 Gentoo’s are right next to the Sea Lion Lodge where you will stay and the rock hoppers are about 3 miles away on the cliffs near the memorial for the HMS Sheffield; which was the first British ship sunk during the 1982 conflict with Argentina. Rock hoppers are great because they let you get so close to them and they don’t run away. 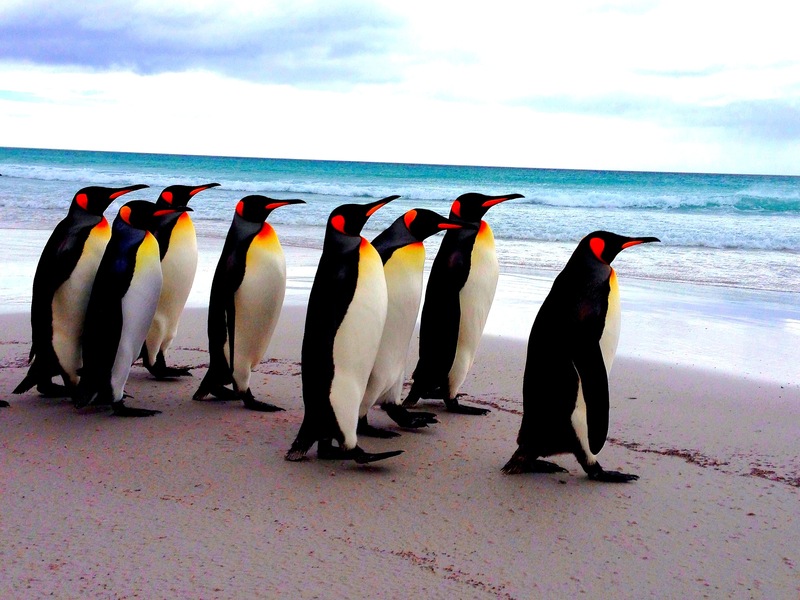 They are also polite and pose nicely for pictures! 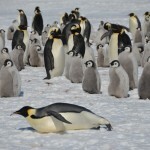 Gentoo’s are great too but are more temperamental. 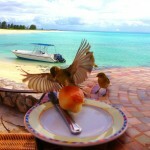 They tend to run away at first but then if you kneel down and wait they will be curious and come toward you. The only issue for them is there are a lot of predators who want to steal their eggs hanging out around the colonies and occasionally they get one-sadly! 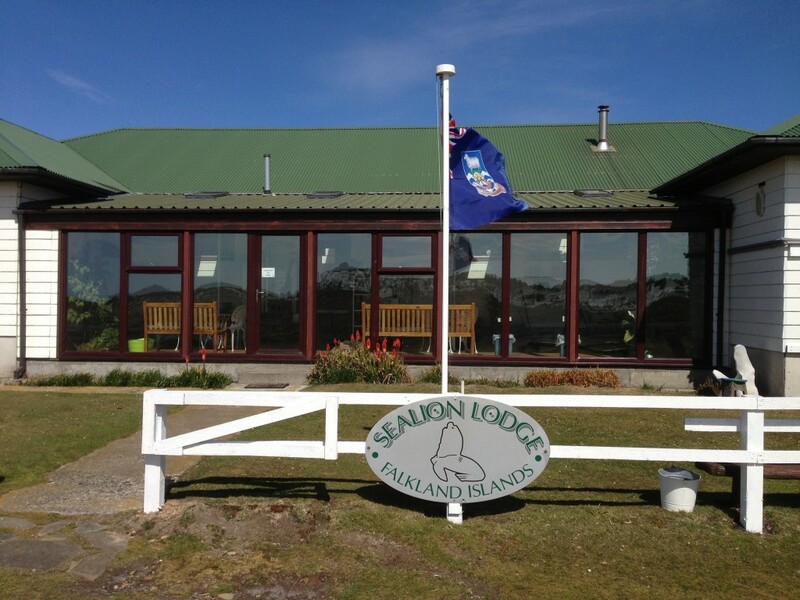 The Sea Lion Lodge is a great place to stay with some of the best food that I had in the Falklands. 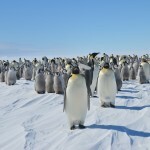 They take great care of you and there is a great selection of books to read about the South Atlantic Islands and Antarctica. 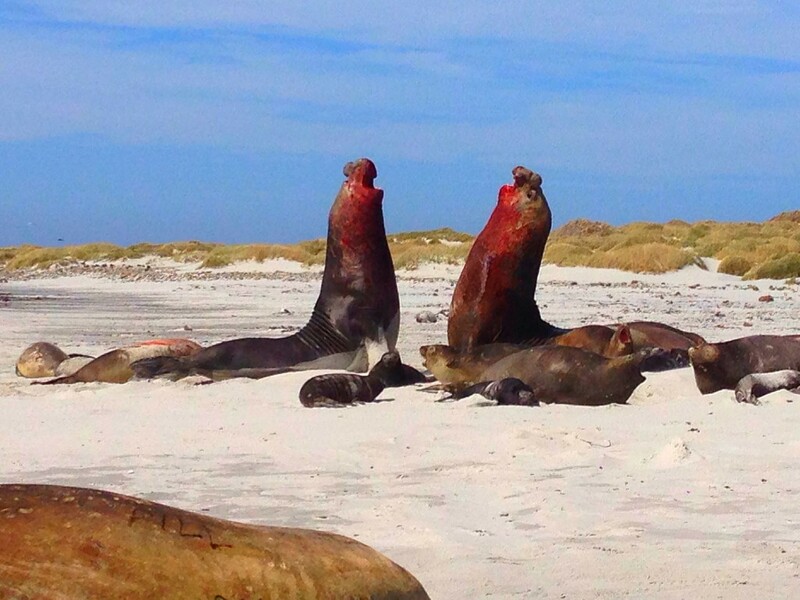 I thoroughly enjoyed my stay on Sea Lion Island. Sea Lion Island is one of those places that you’ve never heard of but once you go there, it sticks with you. Nature has a way of doing that. Of course, I was very fortunate to see the fights I saw but even if I hadn’t, just seeing those beasts in person was something else. 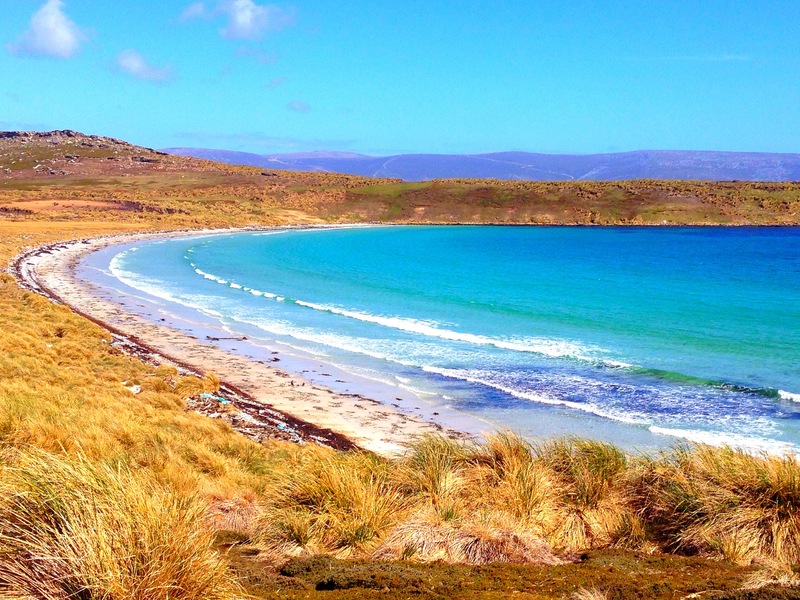 So if you’re in the Falklands and you have to pick just one outer island to visit, it should be Sea Lion Island. 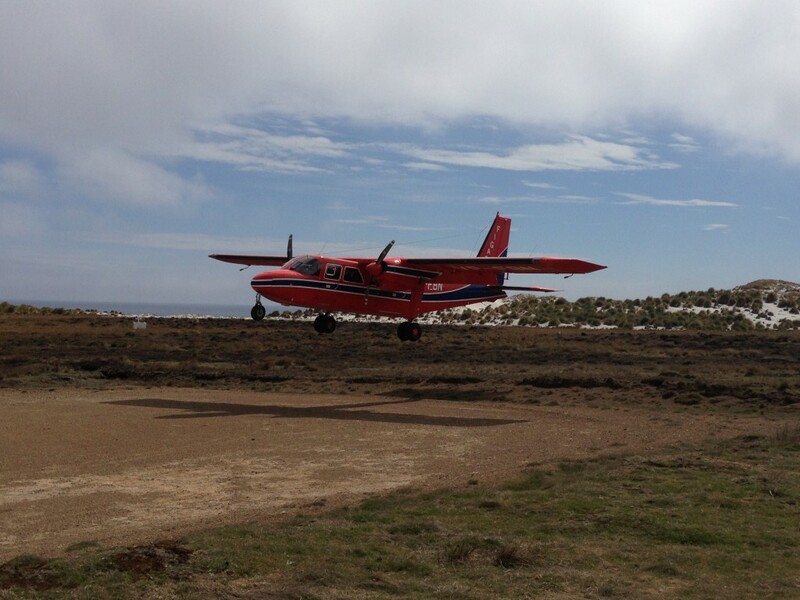 It’s only a 30-minute flight on the Falkland Island Government Air Service (FIGAS). Tell Eddie, the pilot, I said hi! 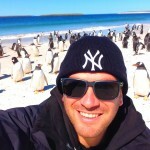 Your pictures from the Falkland Islands have been seriously amazing, Lee. 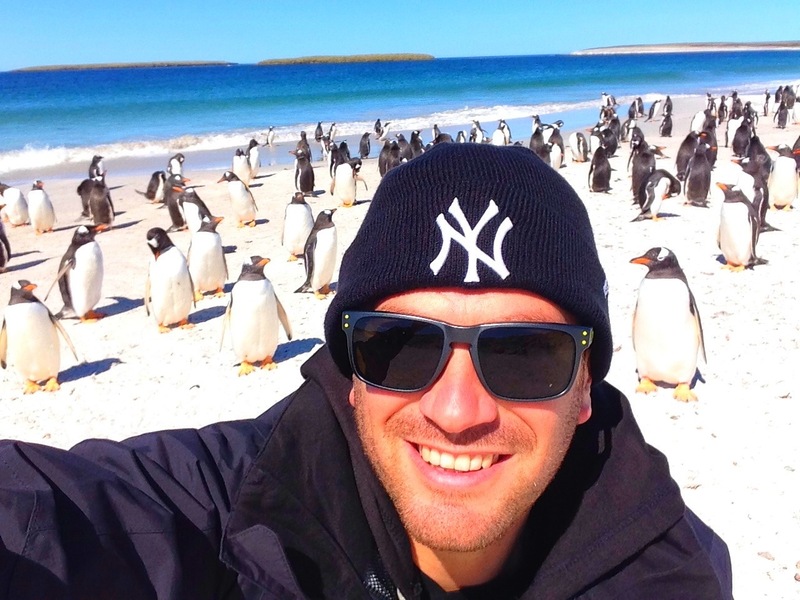 I’m not even sure which is the coolest picture you posted here. 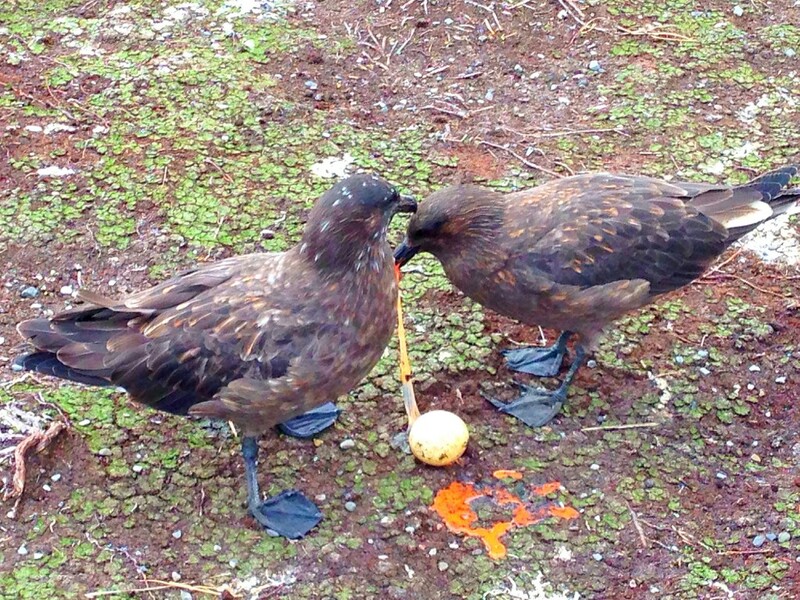 I’m gonna go with the action shot of the birds eating the penguin egg. That is pretty cool. I love that one too but I am partial to the fighting pics! I’m not sure whether to be inspired and in awe of the two monster fighting or scared out of my mind. I can’t believe how close you were to that. I would have freaked out and certainly ran the other way immediately! It was tempting to run but even more enticing to stay and watch! Thanks Josh, I hope you can get down there soon! Pictures like these bring back so many memories for me. I served there in 1982/83 and 84. In 1984 I was reporting back to England on bird numbers so I spent many days on the out lying islands. I love the photo of the one with his mouth open looking at the camera! But those bloody ones are just downright scary! 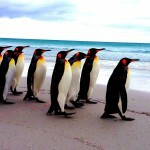 This article is in English- therefore one uses “Falklands”. Nobody cares about Argentina’s attempts to distract its people. Pics looks great. I would have put the location a bit more politically correct tough and also added the ‘Islas Malvinas – Argentina’ to the title, as it goes in most South American countries and since it’s a disputed territory claimed by the British (at the other side of the world). Fantastic to see the Falklands get what it rightly deserves, my personal favourite Island is Bleaker, but I can see why you chose Sealion. Very enjoyable Thanks. I have just returned to the Islands to work and i agree with everything written here. El 02 de Abril de 1982 nuestro destructor ARA Py estuvo en las cercanías de la Isla de los Leones Marinos, un recuerdo muy lejano y doloroso por lo que paso después de ese dia. Saludos cordiales a todos los viajeros.